What is healthy and sweet that can be added to stir fry or into your salads? You guessed it – Sugar Snap Peas. Growing sugar snap peas is a breeze when you direct sow them in your garden at the right time of the year. Start in the ground or its final destination. The reason is you can get a healthier plant. This tip applies to any vegetable really. It’s always smart to start from seed if at all possible. Snap Peas can readily acclimate a lot easier to those growing conditions when it’s growing in the soil and its roots remain untouched. Most plants that you get from a greenhouse or nursery are given ideal conditions with ideal temperatures and ideal soil. The plants are given a lot of fertilizer and they’re growing nice and tall for you. You throw them in the ground here and the pea plants might be a little bit less than ideal. You have something called transplant shock and that is a gardener’s worst nightmare because it affects the time till maturity. When it comes to pea plants, there is nothing more crucial than the time to maturity simply because it’s one of those fringe plants that you need to get the timing right between spring and summer. Of course, we still recommend using containers for this to also help get this timing down. Check out this post here for more information. Sugar snap peas- it’s not really an early spring vegetable and it’s not really a summer vegetable. It is sorta in “The Space Between” as the Dave Matthews Band sang about. It is that gray area where the timing to plant is so crucial. The ideal temperature to grow can’t be super cold because they won’t grow very fast. The temperature to grow sugar snap peas can’t be too hot otherwise you’ll notice that they start to burn. Geez, growing sugar snap peas sounds like the story of Goldilocks and the Three Bears to get it just right. That perfect timing is during the transition from spring till summer, which is usually around St Patrick’s Days (March 17) in most parts of the northern hemisphere. You want to make sure that the night temperatures are averaging above freezing and below 80 degrees. Fertilizing your plants is definitely a step that some people might skip. Peas are one of those vegetables that do produce its own nitrogen. Most people think “Its nitrogen-fixing, so you don’t need any fertilizer. It’s going to fix its own nitrogen and grow very well.” Unfortunately, this sentiment is not ideal. All nitrogen-fixing plants, whether or not it’s a bush bean, a pole bean or sugar snap pea plant or any of your legume family plants needs to be fertilized. Fertilizing is so important because the difference that you will have in your harvest in your plant’s health and just the plant size is so incomparable. We always give our snap peas a nitrogen-rich fertilizer. You can give them a one to one ratio of fish emulsion and blood meal. You want to add this directly in the planting hole, so when the seeds sprout, they’re literally growing in that. You can give them an additional boost of nitrogen once they start flowering. The flowering will happen naturally. Growing sugar snap peas is not like tomatoes where you stress the plant with phosphorous to get it to flower. The added nitrogen encourages the pea plant to grow taller and greener all along the stem. Once the sugar snap pea plant reaches a certain height and a certain age, it’s going to set flowers regardless of how much phosphorus you have or not and that’s the miracle behind peas. Another crucial and important factor along with the temperature is sunlight. You may get very sporadic temperatures early in the spring and that is obviously due to the sun. You don’t want the sugar snap peas plants in the hot gleaming sun all day long because they will fry and believe it or not, pea plants don’t need that much sun. You can grow them in about 5 to 6 hours of full sun. Sugar snap pea plants will even do well in as little as 4-5 hours. You don’t need to put pea plants in full sun. Don’t give them eight hours, don’t give him 10 hours. Too much sunlight will cause the bottoms to start turning yellow and brown. At this point, hey can’t uptake water and it’s going to kill the top soft slowly. The tops always seem to get green and the bottom always seems to get yellow. Put them in a spot with 5-6 hours of sunlight. These little green plants need a moderate amount of water throughout their growing cycle. The reason being is because the plant has a very thin stem. It’s not like a plant whereas the plant grows, the stem grows as well to adjust for the amount of water uptake. The stem will always be the same diameter, so you have to give it lots of water The plant will literally kill itself off from the bottom if there is not enough water. You do want to make sure that your soil does drain well though. Getting your soil and the pH correct is vital to growing a healthy batch of sugar snap peas. Middle of the road pH levels are best for snap peas, so 7.0 neutral levels are best. Don’t go too acidic or too alkaline. You can measure the pH levels by having your soil tested each year. We recommend to do it when you first start a garden and maybe every 2-3 years after that. In a pinch, you can use something like this found here. Generally, though adding a good amount of compost each year before planting will usually level the playing field and buffer the soil pH. 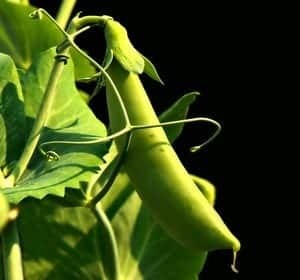 Having a loose, well-draining soil is so vital for growing sugar snap peas because these plants have a very small stem. The peas need every ounce of root penetration that they can get to take every ounce of water up that they can get. You may need to amend your soil if you have hard compact soil. Your pea plant may only grow a foot and will never fruit. Give them a healthy dose of compost, maybe pure compost worm castings and sand. This step ensures that the roots are going to go straight down. 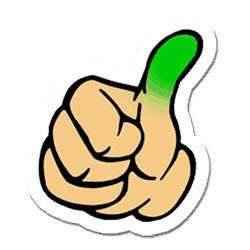 One way you can tell that if your soil is loose enough is if you can take your finger and barely push and work your way down in the soil. You should be able to take your hand and basically just work it right down in the soil and get about three or four inches before you hit anything at all. That’s a good way to make sure your soil is loose enough for your pea plants. You made it through the fringe period of the spring season and they flowered and developed into pods. What’s next? You want to pick these little green pea pods at the peak time to get the best flavor. 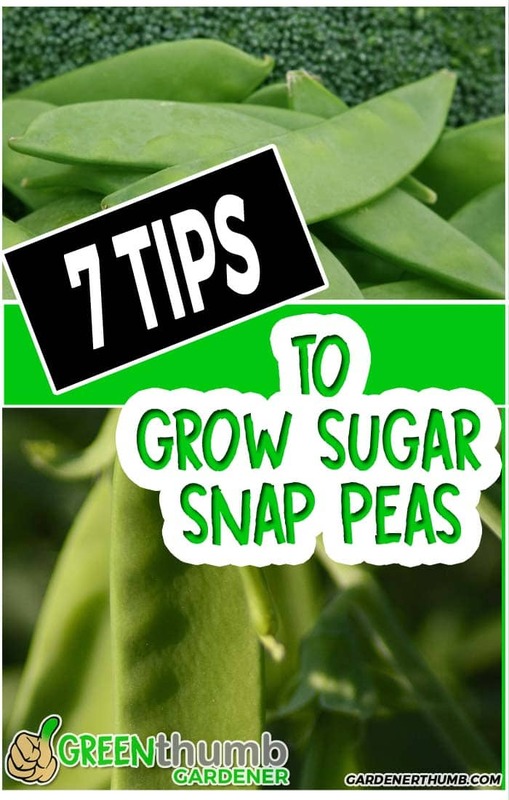 Typically, most varieties of sugar snap peas will be ready to harvest between 50 and 70 days. Obviously, this depends on the amount of sunlight, water, and nutrients (make sure you read above again) that each pea plant gets. We prefer them pretty immature, so don’t wait until they are really rounded and full. You can vary this to suit your tastes. In fact, start picking when you first notice them bulging and see what tastes best for you. Growing sugar snap peas is not very difficult at all. They are pretty easy to grow once you grow them a few times and get used to variable weather conditions during this fringe period. Sometimes you have colder spring, sometimes you have hot, warmer springs. The temperature variances are always changing year by year. You will find using the tips above will pretty much guarantee you will get fruit. Hopefully, you will get out there and get dirty growing your sugar snap peas. Check out our mega insider secret guide to growing peas here if you want more in-depth information on growing peas. 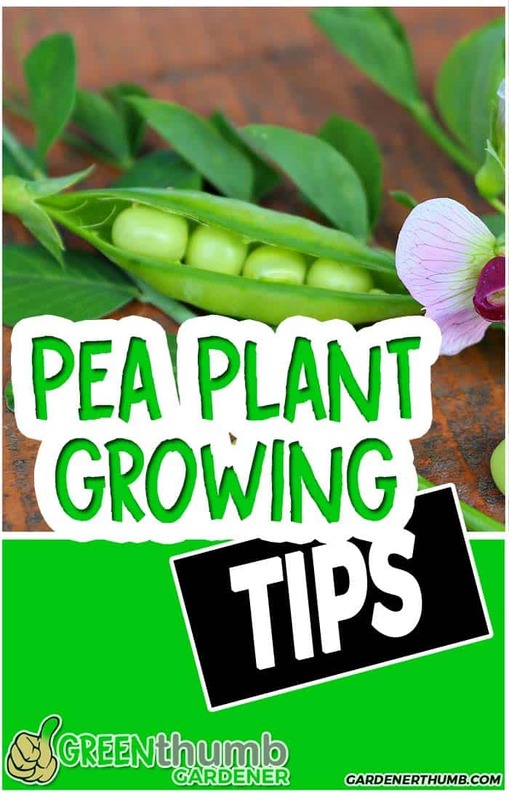 Let me know in the comments below what types of peas you are growing or any other questions you want to be answered.